If you thought the conspiracy to turn your author into a laughing stock by rendering his calculations unsustainable had ended, well, your naïveté has betrayed you. 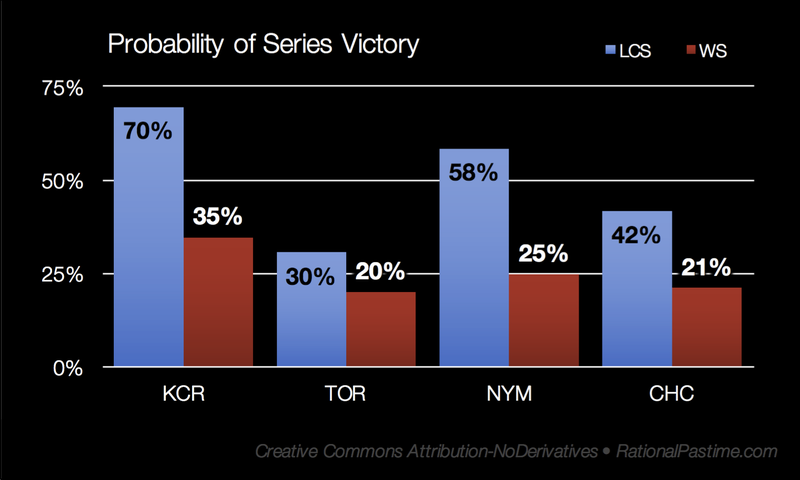 Just as it seemed my RPScore model (and sanity) was set to prevail, the Toronto Blue Jays surrendered an 85% chance of evening the series with the Kansas City Royals at one game apiece. Additional collusion came in the form of the Chicago Cubs surely intentional loss to the New York Mets in game one of the National League Championship Series. 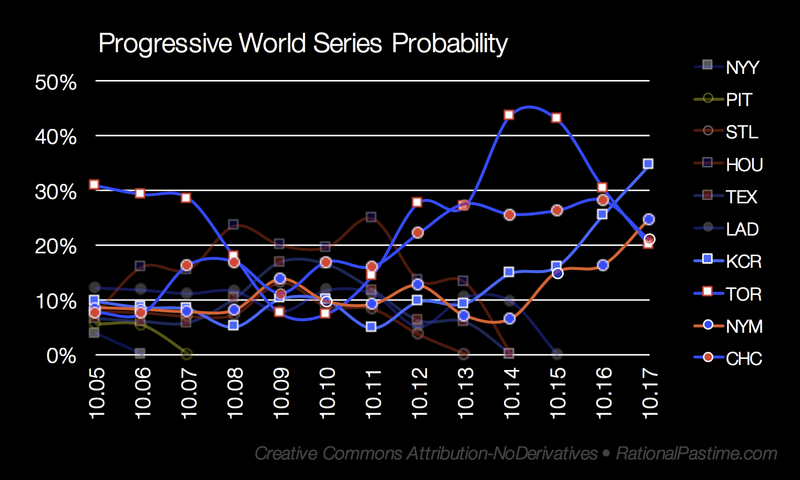 The conspiracy only becomes more obvious when we see that the two remaining teams with the lowest RPScores now lead the field in World Series probability, with the best team plummeting from first to last in the course of a single day. Such an outcome is only plausible if we assume that all four teams are consciously executing an elaborate vendetta against yours truly. 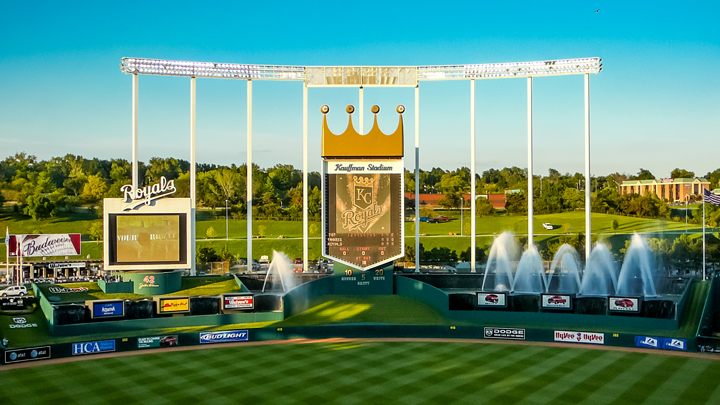 Even if we assume that the Blue Jays and Royals have sufficiently lain the groundwork for my demise and will resume playing at their expected talent levels, Kansas City now enjoys a 15% chance of sweeping the ALCS, while the Jays are now 7:3 underdogs to advance to the World Series. Meanwhile, Jon Lester's revenge for my years of rooting against him as a Boston Red Sox starter has taken its toll on the Cubs chances of winning their first NL pennant since 1945. 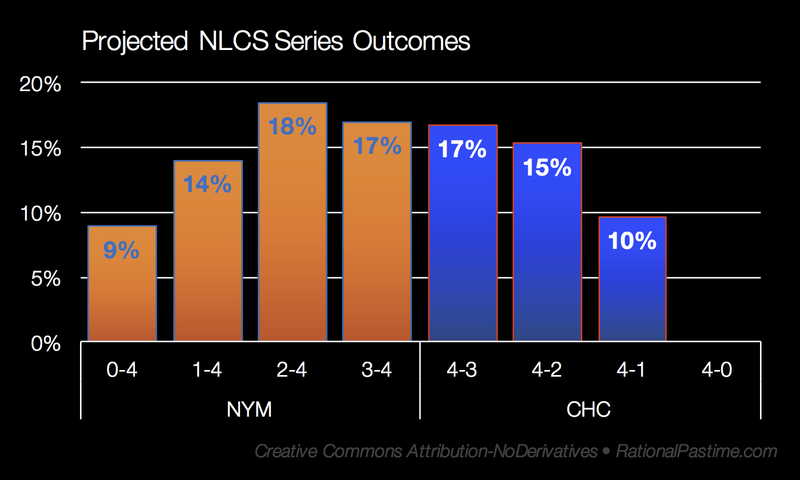 The North Siders have only a 10% chance to win the series before having to return to New York, while the Mets benefit from Theo Epstein's treachery with a 58% chance of returning to the Fall Classic. 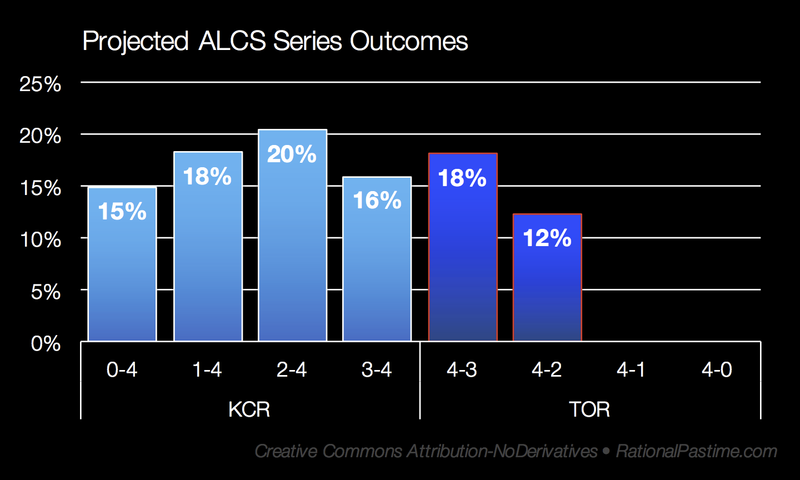 Toronto fell out of the top 10 possible World Series outcomes for the first time since October 12th, thanks to Ryan Goins intentional 7th inning misplay, a convincingly preplanned response to my lifetime of support for his AL East rivals. Stay tuned to bear witness to the continued wickedness that threatens to further undermine my credibility!